In tunnelling, a basic distinction is made between open construction, in which the tunnel is built from above, and closed construction, in which the tunnel is driven from one or both end points. 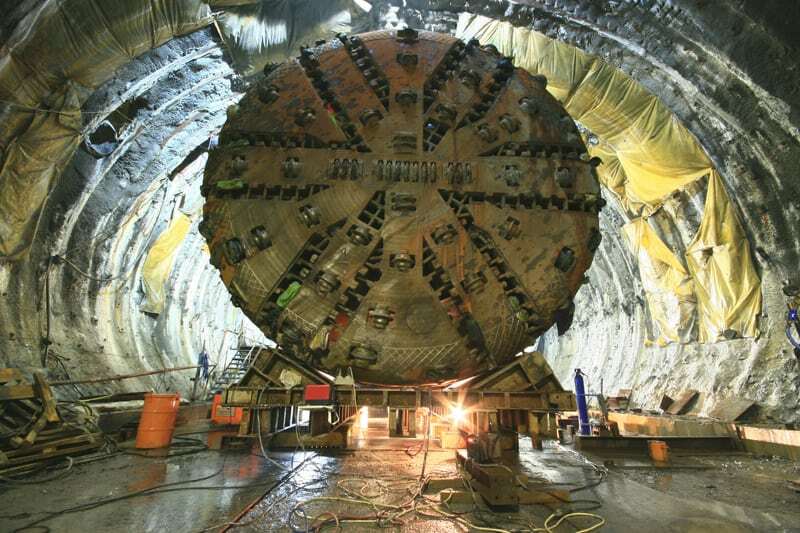 In the closed construction method, tunnelling is carried out with tunnel boring machines (shield tunnelling). The tunnelling is divided into three hazard classes in accordance with existing technical regulations (RABT, BOStrab and EBA-Ril). Within the framework of the safety concept for the construction period, detailed fire protection, escape and rescue concepts including an alarm and emergency plan are to be drawn up. This concept shall specify whether protective containers or rescue containers are to be used for the planned tunnelling operation. Rescue containers should only be used if escape to a permanently safe area with an oxygen self-rescuer on is not possible. The rescue container serves the temporary, safe reception of people in the event of fire and/or gas ingress.